No matter how hard you work, at the end of the day (or maybe before the day starts) you want to relax. The web is filled with great comics and to understand some of them, you need to have some knowledge of math, physics and science in general. You need to be a geek! Luckily for you, you probably are one. If you’re using an RSS reader like Google Reader and you still don’t have any comics in it, it’s time to change that. This is a list of 5 web comics in which you probably won’t get every single one, but with some help from your math friends, you’ll find out that the best humor is science humor. XKCD is the leading web comic when it comes to thinking about what you’ve just seen. Most of XKCD comics are single framed, telling a joke which will hit you right in your geeky digital heart. The Sudo make me a sandwich is probably one of the most popular ones there, followed by Someone is wrong on the Internet episode, or the Time estimate in Windows episode. A special thing with XKCD is its “alt” tag – all comics have a hidden message which can be revealed if you hover your mouse over the image. Make sure to read them, in most of the time they’re an addition to the comic. Piled Higher & Deeper is a comic describing life of several graduate students and their relationship with their mentors, professors and other students. If you were a grad student once, or even a professor, you’ll recognize yourself and your adventures in this comic, guaranteed! 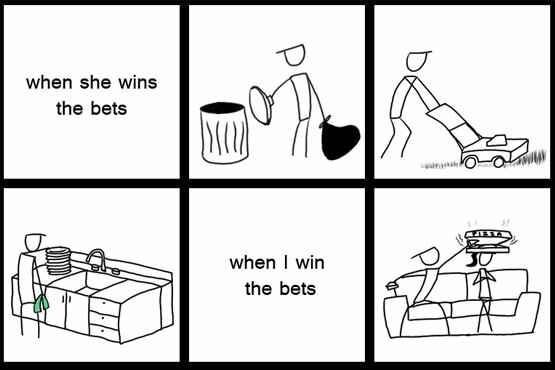 Doghouse Diaries is a comic which sarcastically describes all of ours everyday situations. Has a girl ever been mad at you and told you that nothing can clam her down right now? Until her phone beeped 😉 A new issue comes out every Monday, Wednesday and Friday. 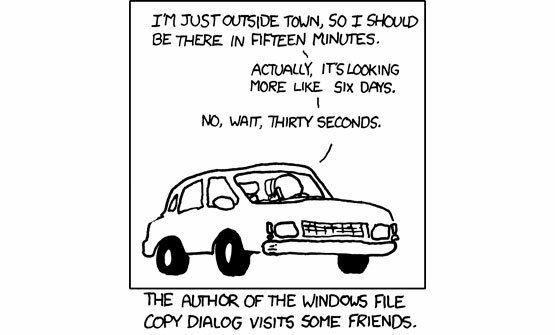 Each comic has a smart, simple tagline at the end and, like XKCD, a special mouse-over text. However, Doghouse Diaries uses that text to send out the messages about… mouse-overs! 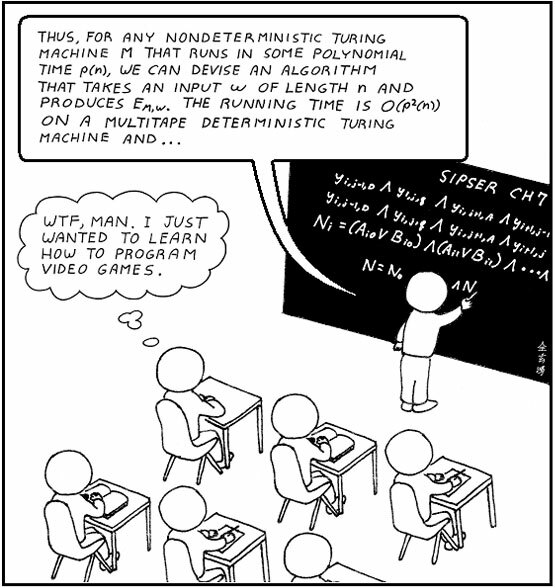 To figure out Abstruse Goose comics, you’ll really need some math knowledge. If you ever had trouble with differential equations, Abstruse Goose will teach you how to use them in a very funny way. A classic comic for math geeks, science aficionados and all of us who don’t really know the math completely, but we know it enough to get the jokes. 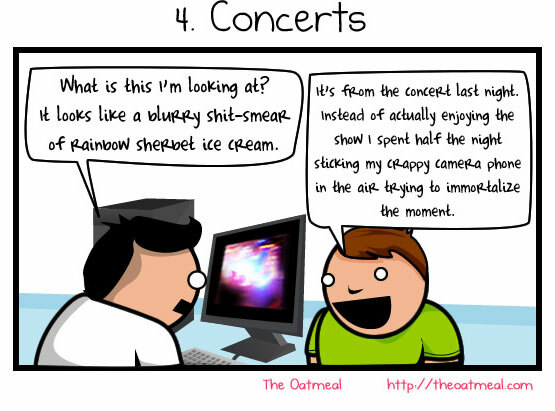 The Oatmeal will grow to you the moment you see its original dialogs. These comics describe every situation in your life, from standard shopping problems to your average printer troubles. As mentioned, the dialogs in these comics are its true gem. It’s best for you to see it for yourself. These are just a few comics that are worth reading and will tease your brain a bit. Do you have any other recommendations?